You know your business and we know technology. Why don't you focus on your business and let us handle your information technology (IT) environment? We will take care of your IT needs including computers, networks, internet, websites and mobile devices support and cost effectively! Large companies have IT departments that manage their technology infrastructure. The IT department helps them select technology, install, integrate and maintain it, train employees, provide desktop support and fix systems that break. However, if you're a small business owner, you don't have an IT department. So, who manages the technology in your company? Is there an employee that has some knowledge about IT and acting as the IT person? How well that is done? In most cases, there is no plan and not well managed systems. It does not have to be that way. Today, small businesses in the Upper Valley of NH and VT can adopt more effective approaches to IT management for many reasons. 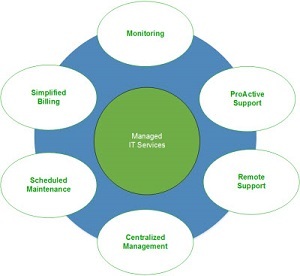 Did you start your business to manage the IT infrastructure? Hope not. That's where we can help. Our staff can manage your IT so you can focus on the business. We will enable your business to grow faster, provide better services to your customers, improve morale, make employees more productive and help you manage the bottom line. For this to occur, you need to focus on your business and think why you started the business. 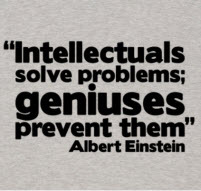 We are here to, plan, purchase, prevent and resolve problems. From blue screen of death to problem prevention we have the experience to diagnose, repair and maintain your systems. You should expect your IT infrastructure to work consistently and seamlessly. Working together we can save you time and money! We have relationships with the three largest distribution companies for IT products which translates into your savings. We can prevent and solve your IT problems quickly and you stay focused on your business. Often we can fix problems immediately, remotely. We install and maintain a license of LogMeIn Pro software on each machine to allow us quick access to machines to resolve and prevent problems. Obtain quick assistance for issues and with no wait for us to arrive at your location. Remember time is money and our goal is to resolve issues quickly. If the issue is not able to be resolved remotely, we will dispatch a technical staff member to your location to resolve any IT issues if the issue cannot be resolved remotely. A service provided that saves your business expensive downtime, and reassures you that your computer is operating securely and effectively. NHVT Computer Services, Corp. knows that a system that stays up and runs reliably is far better than a cycle of crash and repair. The key is 24/7 proactive maintenance for businesses and individuals.